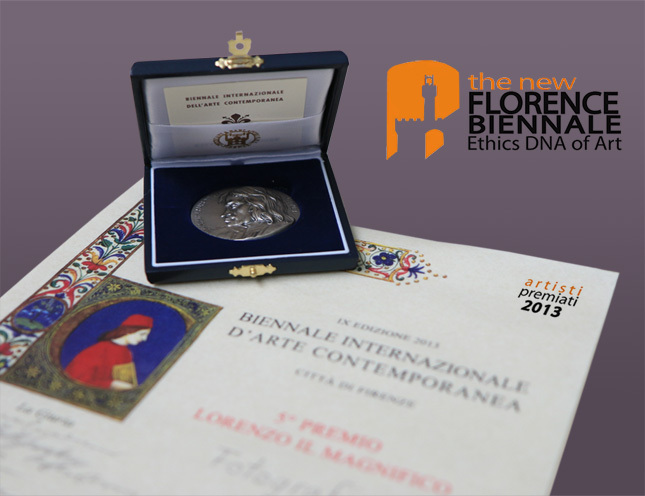 A title has been given for the first time to the Florence Biennale, "Ethics: DNA of Art". Such a theme not only resumes the critical thinking underpinning this IXth edition, but also delineates an oriented approach, an outlook, an ideal path to be further developed during the tenth edition. Also reminding the lesson of Juri M. Lotman, our aim at this stage is to investigate the role of art in the light of its ethical value, which is inextricably linked to aesthetics in our view. We are therefore joining the ongoing debate about art and ethics, which has become more and more cross-disciplinary and cross-cultural over the last decade. The Florence Biennale has enhanced its multifaceted, multicultural, and multimedia character also through another novelty introduced in this ninth edition, the collateral events. A series of performances and installations will be shown in various urban spaces in order to create opportunities for an encounter between the city of Florence and contemporary artistic research.